Frenchmen and French women everywhere! Is it not your national obligation to furnish your home with this fantastically French inspired wall decal? 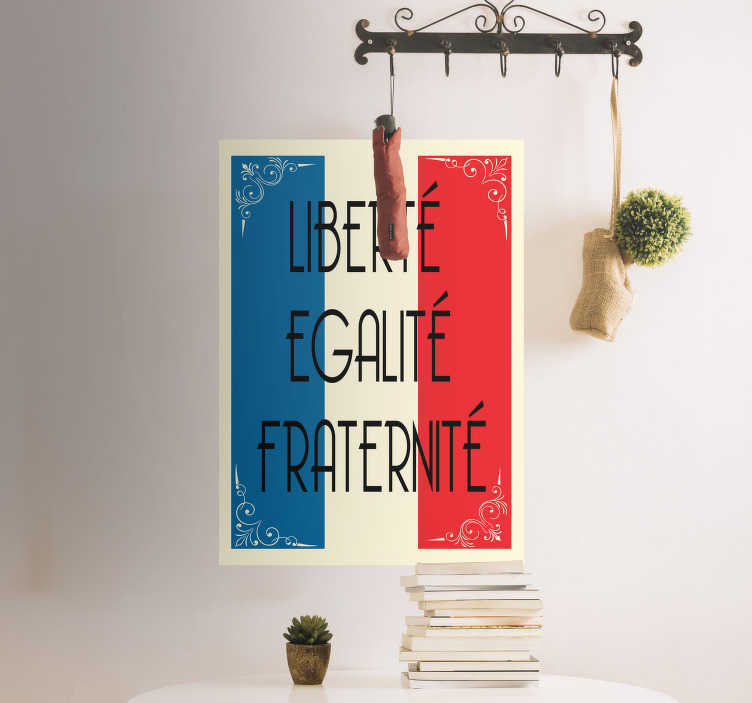 Depicts the French flag, as well as the French national motto - Liberté, Egalité, Fraternité, or freedom, equality, brotherhood for those who do not speak the language but still wish to decorate their wall with this magnificent home sticker!